-	Transfer Apple Music to non-Apple devices for streaming, such as Android tablet, iPod shuffle, PS4, Sony Walkman. -	Burn Apple Music to a CD or transfer to USB for playing in the car. -	Keep Apple Music songs playable after canceling subscription. -	Set Apple Music as iPhone ringtone. If you meet the same situation above, then you are supposed to get the best Apple Music Recorder to help you keep Apple Music songs playable after canceling subscription and enjoy them on many other devices offline. But, it is really hard to pick out the best one because there’re plenty of recorders with different capabilities in the market. 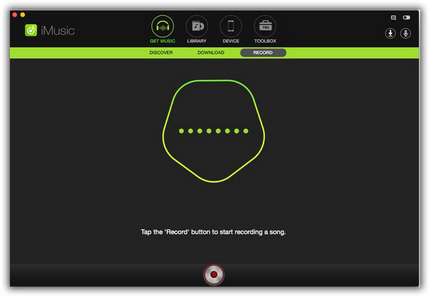 If you are still looking for the best Apple Music Recorder, then you are at the right place. In this article, we round up the top 5 powerful Apple Music Recorders based on technicians' stringent testing and customers' experiences to help you record any of your Apple Music tracks easily. 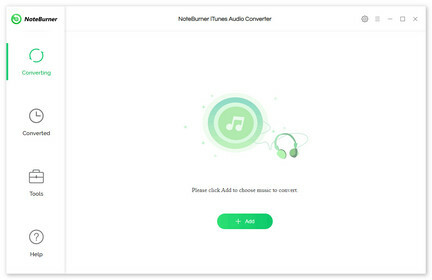 NoteBurner Apple Music Converter is one such Apple Music Recorder that can remove DRM and record Apple Music tracks, iTunes music and audiobooks into other formats, such as MP3, AAC, FLAC or WAV. When it comes to audio recorder, speed and quality are the most important factors, and NoteBurner Apple Music Converter does not disappoint in those areas. The app is capable of converting or recording any audio file at 20x faster speeds than its competitors. It also maintains lossless audio output quality, keeping it at high levels. This program is available for both Mac and Windows. You can try it for free and if you like it, then full license will cost you $39.95. Remove DRM from iTunes M4P music to MP3, M4A, M4B, FLAC or WAV. 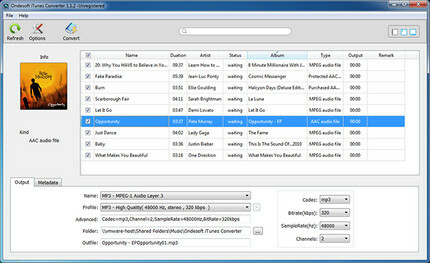 iSkysoft iMusic is a Music Downloader, Music Finder, Music Manager and can even transfer music files between the devices. All features put together outputting an excellent result on this simple and efficient software. it is capable enough of letting you download or record your favorite music files from 3000+ sites including YT, Spotify, Pandora, Vimeo, Dailymotion, Soundcloud, etc. You could seamlessly download them on your Mac or PC without having the trouble of unstable internet connections or sloppy hardware. As an Apple Music recording software, iMusic also does the job nicely. Discover Music and Download Freely. Download Music from Over 3000 sites. Transfer Music between Apple devices and iTunes. Backup or Rebuild iTunes Library. Handy music file manager with playback and iTunes supported. Apowersoft Streaming Audio Recorder is a powerful audio recording program with a wide range of editing and conversion capabilities. 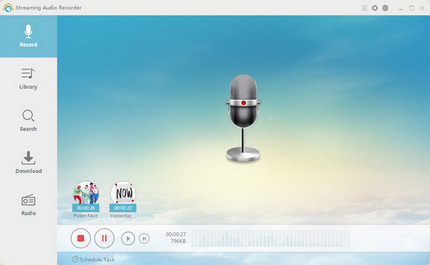 With it, you can record any audio playing on the computer (for example, streaming music from an internet music website, video platforms, or internet radio broadcast). The software provides lots of output audio formats including MP3, AAC, FLAC, WMA, etc. for playing on any music players and portable devices smoothly. Record streaming music from music sites, video platforms, etc. Convert audio recordings to MP3, AAG, OGG, WMA or WAV. Has a built-in ID3 tag identifier and editor. Burn CD for Sharing and Collection. Create playlists to organize recorded tracks. 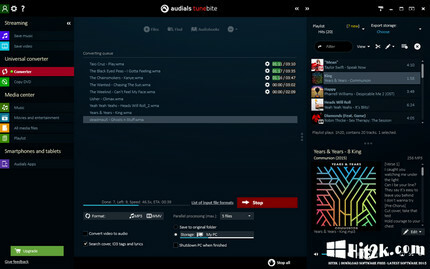 Record from any audio stream with fingerprint-based recognition and subsequent separation into individual songs. Play back streaming services at twice the speed while simultaneously recording. Automatic addition of ID3 tags and album artwork for recorded songs. Videos you have watched are recorded and saved as a video file in your desired format. Ondesoft Apple Music Converter is an Apple Music M4P to MP3 Recorder which allows you to easily convert Apple Music songs to MP3 on Mac/Windows. It features iTunes-like interface and loads all your iTunes media automatically. You just need to add Apple Music songs, albums or playlists to iTunes library or playlists without downloading them. Convert iTunes DRM M4P songs to DRM-free MP3, M4A, etc. on Windows. Convert iTunes M4P/M4B and Audible AA/AAX Audiobooks to DRM-free MP3, M4A files. 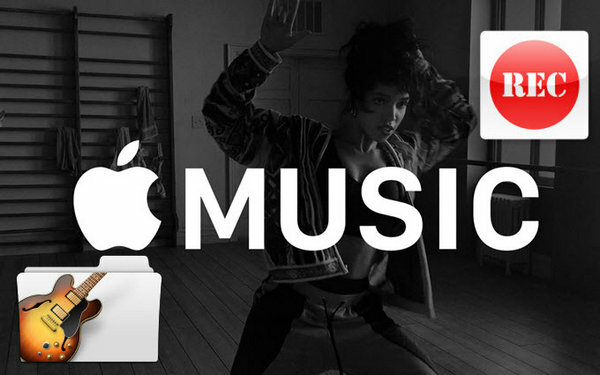 There are many reasons why you may want to record Apple Music. It could be because you want to save some money if you are a professional musician, or you may be doing so in order to listen to the music on your phone or computer conveniently without worrying about slow internet connection speeds. To help you record Apple Music on your Mac or PC with ease, top 5 Apple Music recording software are listed above. You can choose the best one based on your own experiences to record Apple Music.